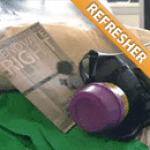 This Lead Renovator RRP Initial Certification course is 8 hours in length and includes approved lead safety training and the required certification exam. This training is conducted in English. To view training options in Spanish, please click here. Any contractor performing qualifying renovation, repair, or painting (RRP) work on pre-1978 homes or child-occupied facilities must employ at least one Certified Renovator who has successfully completed this training. Companies must also submit an application to register as a Lead Safe Certified Firm with the Environmental Protection Agency (EPA) or the EPA-Authorized State in which RRP work will be performed. This course is approved for purposes of certification under Section 402 of TSCA and/or EPA-Authorized State lead regulations for Lead-safe Renovation, Repair, and Painting (RRP) work. Need an earlier training date or more location options? Click Here to view our full schedule and all available locations. Unless you work in Alabama, Georgia, or Oklahoma, you can take the RRP class in any state to satisfy your individual 8-hour training requirement. Please note that if you do attend a course at a location outside of the state where you will be performing RRP work, additional reciprocity paperwork may be required by the state lead program to finalize your certification. Effective April 22, 2010, anyone who performs renovations, repairs, or painting in pre-1978 housing or child-occupied facilities must comply with the Lead RRP Rule. Individuals and firms that are not certified could face fines of up to $37,500 per day. Register and successfully complete this 1-day lead certification course. Submit an application to EPA or EPA-Authorized state on behalf of your company (even if you're a sole proprietor). See below for details. Receive your certificate from class and your firm certificate, finalize any additional paperwork required by your state, and you are ready to get to work! 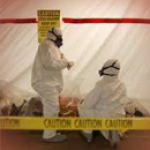 This course is provided by an accredited trainer who is approved by the EPA and/or EPA-Authorized lead program in compliance with all regulations in the state in which the course is being held. 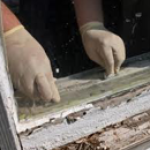 It will satisfy the 8-hour training requirement for individuals to attain certification in Lead Paint Safety for Renovation, Repair and Painting (RRP). Individuals who attend the course, participate fully in the hands-on activities, and pass the certification exam will receive a Certified Renovator certificate. Firms, including sole-proprietors, landlords, etc. must submit an application stating that they will be utilizing a Certified Renovator to perform lead-safe work. Your training provider will discuss all registration requirements during class, and will provide the necessary forms when applicable. To perform RRP work in an EPA-Authorized State (AL, DE, GA, IA, KS, MA, MS, NC, OK, OR, RI, UT, WA or WI): Firm registration must be processed directly with the applicable state lead program(s). To work in all other states: Firm registration must be processed with the EPA via an online application. The EPA Lead-Safe Firm fee is $300, and it is valid for 5 years. Individual App Requirements $150 every three years; Application can be completed online. Individual Exam And Fees Exam is provided in class. Company Application Requirements $125 for 1 year, or $300 for 3 years; Application can be completed online. Refresher Training Refresher training (4 hours) is required every three (3) years from date of cert expiration for individual certification. Reciprocity Initial renovator training must be conducted by a Georgia EPD accredited training provider. ** Please note that these details are provided for informational purposes only. Consult with your local state or regulatory body to confirm your requirements for your specific situation. Nothing on this website constitutes, or is meant to constitute, advice of any kind. It is simply a database of publicly available information that is meant to assist with research on certain topics but is no way guaranteed as complete or free of error. Below are the most recent student reviews for previous Lead Renovator Certification Initial Courses. Very good course. Instructor was friendly and fun. This is not another boring course and you get the knowledge. Very good course. Instructor was friendly and fun. This is not another boring course and you get the knowledge. As quick and painless as a Lead Renovator Certification class can be. As quick and painless as a Lead Renovator Certification class can be. The content of Lead RRP was excellent and I passed the test. Thanks! The content of Lead RRP was excellent and I passed the test. Thanks! It was easy to follow along with the book. There was a lot of great info at the beginning of the class about lead that I... It was easy to follow along with the book. There was a lot of great info at the beginning of the class about lead that I did not know. It was very well laid out. Your staff was great. We had a few laughs. Which made the day go by. Thanks for a good day there. Great course, nice trainer and they exceeded my expectations. Great course, nice trainer and they exceeded my expectations. Excellent course material and presentation. Excellent course material and presentation. Very informative. I love learning how to help people/home owners out and to be safe. Some people unknowingly purchase house... Very informative. I love learning how to help people/home owners out and to be safe. Some people unknowingly purchase house with lead, asbestos, mold and do not have a clue what they are getting into. I can't wait to put my new skills to work and help the country rid ourselves of dangerous and toxic materials. I loved the course and look forward to advance my learning experience. Excellent course. The information is complete, clear and high quality. The trainer was excellent and very professional. Excellent course. The information is complete, clear and high quality. The trainer was excellent and very professional. I was expecting something different. I honestly wish the class could be a little more interactive. I was expecting something different. I honestly wish the class could be a little more interactive. The instructor fulfilled my expectations during the video training. Our side discussions and his knowledge of the subject... The instructor fulfilled my expectations during the video training. Our side discussions and his knowledge of the subject from experience were helpful in answering my questions. He was immediately able to clarify a disagreement between the video and provided handbook: Handbook - page 13, EPA and HUD clearance standards, indicates micrograms; Video - showed milligrams. The discussion with the trainer and knowing that he and other experts will be available to answer future questions and provide guidance was especially helpful in dispelling rule implementation anxieties. Informative class and appropriate testing. Practical application practice on techniques was a nice touch. Informative class and appropriate testing. Practical application practice on techniques was a nice touch. Course was very good and appreciated the instructor. Course was very good and appreciated the instructor. I really enjoyed this class. This instructor was great, down to earth. The material was easy to comprehend and very informative!... I really enjoyed this class. This instructor was great, down to earth. The material was easy to comprehend and very informative! Had a good balance between literal and hands-on. I was really impressed on the information/facts in this class on how things came about. I didn’t meet the owner however I feel like I know him! Really enjoyed his company. I would do business again! Thank you. Class was good and educational. It was broken out into sections and had nice visuals. Thanks! Class was good and educational. It was broken out into sections and had nice visuals. Thanks! I've taken three classes and this by far was one of the best instructors. He was really good and knowledgeable. He helped... I've taken three classes and this by far was one of the best instructors. He was really good and knowledgeable. He helped me a lot. Very good trainers! Very good trainers! Great location and excellent instructor. I really enjoyed my class. Great location and excellent instructor. I really enjoyed my class. The instructor was very informative and easy to understand. The instructor was very informative and easy to understand. The trainer did a very good job. He made sure I knew what I was doing. Thanks!!!! The trainer did a very good job. He made sure I knew what I was doing. Thanks!!!! A great instructor. He made they day run as smoothly as possible. A great instructor. He made they day run as smoothly as possible. The instructor was very well organized and made the class fun. She told us her story and why and how she believe in the why... The instructor was very well organized and made the class fun. She told us her story and why and how she believe in the why it's so important to take the course. Thank you! The instructor was friendly and informative. She made each one of us participate in every hands-on activity. She would step... The instructor was friendly and informative. She made each one of us participate in every hands-on activity. She would step in and help when need be. She was very nice. She gave us space, but still checked in on us from time to time, during the video portion of the class. Concise and very informative. Concise and very informative. Very educational and easy to understand. Very educational and easy to understand. Easy to set up and very helpful. Easy to set up and very helpful. The instructor was very knowledgeable and informative. It was a great experience. The instructor was very knowledgeable and informative. It was a great experience. Good class. The trainer covered the material well. Good class. The trainer covered the material well. Great small course. Deep one on one learning. Great small course. Deep one on one learning. Quick and easy! Quick and easy! Entire class was conducted very professionally and I feel a lot more confident about what to I if I encounter lead. Entire class was conducted very professionally and I feel a lot more confident about what to I if I encounter lead. Very informative, well structured. Very informative, well structured. I was presently surprised that I would be in a session alone and wasn't sure what to expect. However, the total experience... I was presently surprised that I would be in a session alone and wasn't sure what to expect. However, the total experience was great. I really enjoyed the history and in depth overview of Lead Safe Practices. I would recommend this course to anyone. Great job! They are very knowledgeable about the industry and great trainers. They are very knowledgeable about the industry and great trainers. My training was awesome and Seagull Environmental was absolutely professional. My training was awesome and Seagull Environmental was absolutely professional. Class was very Informative. Class was very Informative. Thank you! It was very helpful and informative I strongly recommend Seagull and Zack Academy for the course. Thank you. Thank you! It was very helpful and informative I strongly recommend Seagull and Zack Academy for the course. Thank you. The 8-hour Lead Renovator class was effective, easy to follow and thought provoking. I recommend Seagull. The 8-hour Lead Renovator class was effective, easy to follow and thought provoking. I recommend Seagull. Class was very good. Class was very good. The instructor was very knowledgeable! The instructor was very knowledgeable! Zack Academy provided superior customer service and accommodated my busy schedule so that I could get my certification in... Zack Academy provided superior customer service and accommodated my busy schedule so that I could get my certification in a timely manner. I greatly appreciated their efforts! The instructor presented the material in a very professional and engaging manner. I would definitely recommend this course... The instructor presented the material in a very professional and engaging manner. I would definitely recommend this course my colleagues and will be looking for him when renewal time comes. Instructor was very good and helpful. Instructor was very good and helpful. This course was really eye opening. This course was really eye opening. Absolutely awesome and very helpful. Absolutely awesome and very helpful. Please note: this product is sent via Fedex to your mailing address and will not be delivered in class, as it is for use on an RRP job site and is separate from the class manual. Please allow 3-5 business days for shipping. The RRP Project Binder & Tutorial is an optional record-keeping tool that is perfect for compiling and retaining all required documents to be in compliance with the EPA Renovation Repair and Painting Rule (40 CFR Part 745). The Binder is the essential tool for step-by-step instructions on "how to" complete forms and letters that are included in the Renovation Repair and Painting Rule Project Binder. It is recommended that each renovation project retain a Project Binder & Tutorial on-site for the duration of the project. The Project Binder is to be retained after the completion of the project for a period of three years, accessible by the EPA for possible spontaneous audit. For those working in EPA-authorized states including AL, DE, GA, IA, KS, MA, MS, NC, OK, OR, RI, UT, WA or WI there may be additional or alternate record-keeping requirements from what is presented in the RRP Project Binder. Please check with your local and state lead programs to confirm the work practices and record-keeping required for RRP work in your area.